On Tuesday Qatar Airways received its first (and the world’s first) A350-1000 at the Airbus factory in Toulouse. This makes Qatar Airways the first airline worldwide to operate an A350-1000. The airline has ordered a total of 37 A350-1000 and after a delay of a few months they are finally here. With 327 seats there is a seat increase of 44 compared to the shorter A350-900. 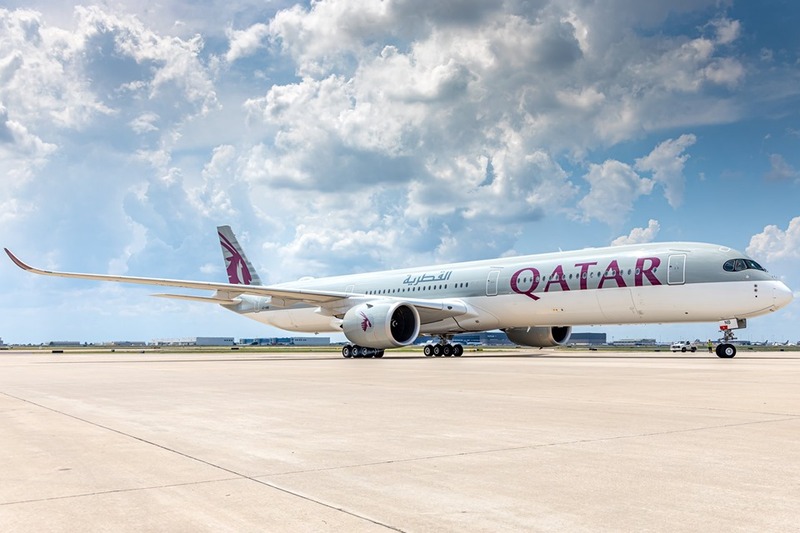 It will be the first Airbus to feature the new Qsuite Business Class product which has so far been installed on 15 of Qatar’s Boeing 777 aircraft. As well as having advanced air system technology, renewing the air every two to three minutes, the A350-1000 claims to have the quietest cabin of any twin-aisle aircraft. The first A350-1000 flight will be on the Heathrow to Doha route as QR15 on 24th February. London Southend Airport has announced that Air Malta will be serving three new routes to the Mediterranean starting 4th May. The Catania and Cagliari flights will continue on to Malta which means there will be four indirect flights per week in addition to the three direct ones. Prices for all new routes will start from £35 on a hand baggage only fare. The flights can be booked here. It is Becoming so boring that whatever the topic, article of the day is straight away we have the appology poster that takes it “ot” and starts talking about bloody cc stuff! It is time to have a section on this site dedicated to this stuff. There are people who read this site and are not into endless cc juggling! Having to look for usefull comments on the original article is annoyingly boring and takes aaay from what the article is about in the first place. TT, if you were a long term reader of this site you should know that Bits article isn’t a problem to post an OT question. Obviously you haven’t been around for long enough. Take a look at how many OT questions there are on this BITS article before wasting your time. I have been around for a while, I know it is happening , and I do not like it, its called voicing an opinion Nick, if you were around long emough you would have known that having an opinion also is mever a problem on this site! I have read through about 273936283 OTs now to see if anyone replied to my original question and agree it is incredibly annoying. Isn’t there somewhere else OT questions can go? Surely there must be another article that is at least about a bank or a credit card that these Nationwide questions can go to? When you upgrade from PRGC to Platinum, does your MR points disapper for few days, until the account is transferred for the change? I have not transferred out any MR points yet, hopefully I haven’t lost those points. I cannot recall if my points ever disappeared but my offers certainly did. They came back ok afew days later. I am sure you will be fine. OT – Now the mortgage is fixed for 5 years I’m happy to take a ding on my credit history for an extra 3k MRs… so how do I apply for the Platinum companion credit card? I can’t find the link in my Amex account or anywhere else on google, FT etc. Thank you! Even better I see its 5k not 3k MRs. Welcome, I thought that would be a pleasant surprise for you. They’ve finally been credited in my Iberia this week account at 50 Avios, which can’t be right! Yep also got just 50.